I'm really liking this palette. I wouldn't say the formulation is creamy, but they're not dry, somewhere in between. 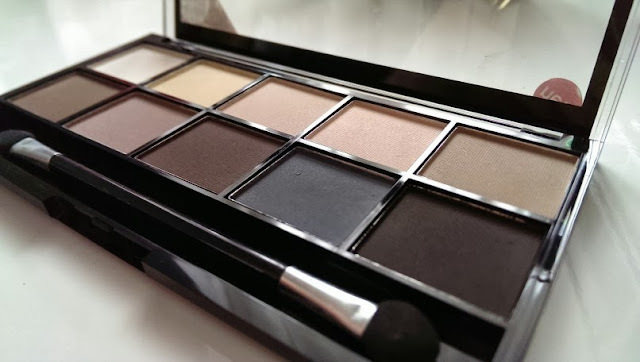 What I have found is that I've reached for this instead of my UD Naked basics palette, there's a much better variety of shades in this and they really are a decent quality. They blend pretty well, of course, if they were creamier they'd blend a bit better but they still blend pretty well. I tend to use a light colour all over the lid and up to the brows, then the shade Chino over most of the lid (not to the brows), then I work Truffle through the crease and warm it up with that, and taking that shade down under the water line as well to connect it all up. In the Autumn I'm a big fan of matte looks, I think they compliment a dark lip really nicely and look more classic. 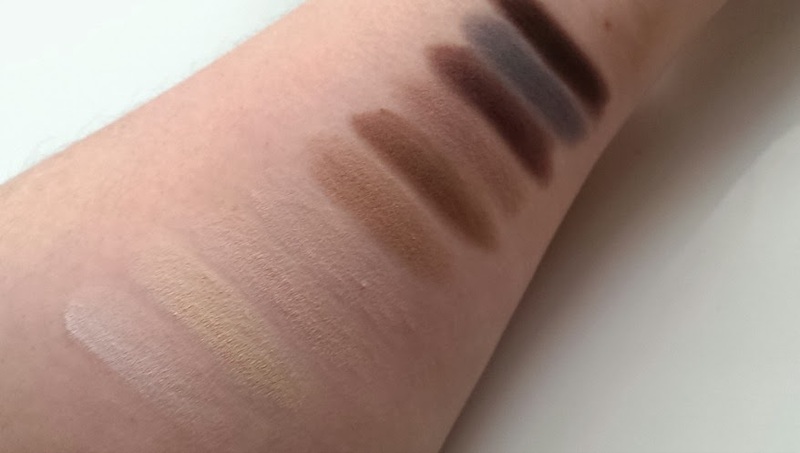 There's a lovely range of shades here, from the cool row at the top which are great for highlighting and creating a nice light base for the darker shades to sit on, then you have the bottom row, 5 warm shades perfect for creating a smokey eye, or 'Chino' and 'Penny' which are great just to add a small amount of warmth to your look. Pigmentation is surprisingly decent, I think some people have thought that the light colours weren't pigmented enough, but when you swatch them on pale skin they're not likely to look as strong, personally I think they're just fine, anything more intense than that will be harder to work with, and this is supposed to be more of an everyday palette, which for me, it is. I really like this palette, and find myself reaching for it most days at the moment, MUA have really outdone themselves with this one, I now can't wait to see the MUA Luxe range, especially the liquid matte lipsticks. I really want to try this palette; it sounds so good and i love the range of shades it has!